So-called 'yo-yo clubs' are a regularity in soccer. They are teams that tend to bounce between divisions, too good for one but not good enough for another. This leads to a seemingly endless cycle of promotions and relegations, a continuous rollercoaster ride for all those involved. While such teams are a rarity in the GAA, the Westmeath footballers are surely as close as you can get. Since the football league was restructured in 2007, there have only been two seasons in which they have not been promoted or relegated. They have taken in all four divisions in that time, having been in the top tier as recently as 2014. Having suffered three consecutive relegations from 2014-2016, they are now on an upward trajectory once again. A draw in their final Division 3 game against Louth secured promotion to Division 2 for 2020, and a place in tomorrow's final against Laois. While Westmeath have gone through all of this before, something feels different this time around. A combination of a new management team and the emergence of young players has brought a freshness to the entire setup, and they already have silverware under their belts in 2019. It helped us because we know how to win. Other years you were getting in those situations to win those games but you just didn't know how to do it. 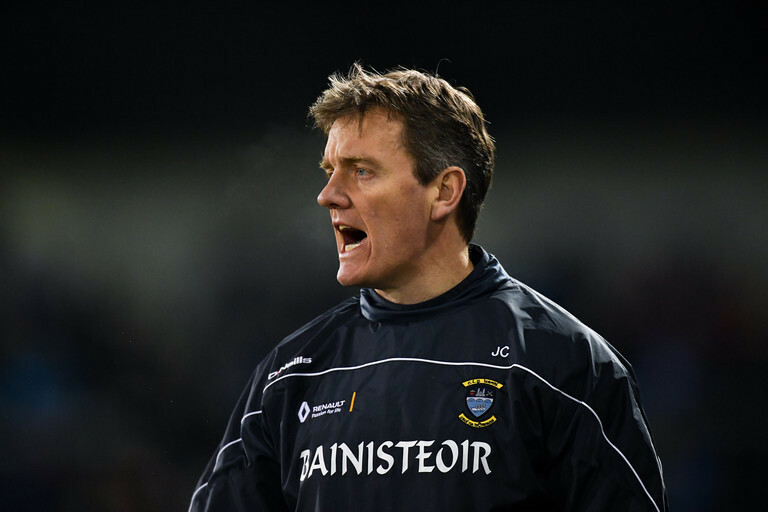 A major component in Westmeath's great start to the year is new manager Jack Cooney. Amazingly, Cooney is the first native Westmeath man to manage the county since the early 1990's. Having someone come in who knew the players from the get go was something this panel had not been used to. Jack wears his heart on his sleeve, and especially as a Westmeath man he puts his whole heart into it. He shows pride as well for the Westmeath crest and he brings it out in the players that bit more. He has the experience of working against a lot of the lads on the county team from working with the clubs, and he would know them from the underage setup. The group itself has become a lot closer. Maybe it’s because we have been doing a lot more training sessions, and we are with each other nearly every evening. Even on evenings when we are not training we are still meeting up and going for coffee and a chat. That is a huge help, because you are willing to die for your family, and the Westmeath panel is our second family. A mixed start to the league was ultimately turned around with an incredibly strong finish to the campaign. The draw with Louth meant Westmeath finished with only one loss, and that came away in Down on the end of a run which featured eight games in eight weeks. They will face Laois in the final tomorrow, a team they are very familiar with. The two played in last year's Leinster Championship, a game which The O'Moore County won comfortably. In their league meeting earlier this year, the result was reversed. They are also set to come head to head in the Leinster quarter-final again in a few weeks time, but Martin admits that the game on Saturday must be taken in isolation. It could be a magnificent occasion for the Maryland club man on a personal level, the chance to captain his county to a trophy in Croke Park. It would be something you have always been dreaming of to walk up those steps, especially as captain. It’s a huge privilege and honour, especially with the group of lads that are there. It’s great to get to Croke Park. We would want to play every game up there if we could because it’s one of the best stadiums in the world. On a big day the atmosphere up there is amazing. Being able to captain the Westmeath lads is a huge honour and hopefully we will be able to walk up the steps and lift that trophy. In terms of the league, the goal for 2020 will be to remain in Division 2 and put to an end that 'yo-yo' tag. But all that will be on the back burner for now, and Westmeath have what they hope will be a long summer to look forward to. The Leinster Championship has been somewhat of a non-contest for some time now, with Dublin dominating for well over a decade. It has been used by many as the prime example as to why we need a two-tier championship. But upon closer inspection, you see that teams in Leinster are improving. Westmeath, Laois and Meath were all promoted from their respective divisions this year, while Kildare have come on greatly in recent years as well. Martin admits that it was about time the other counties in the province started to close the gap. 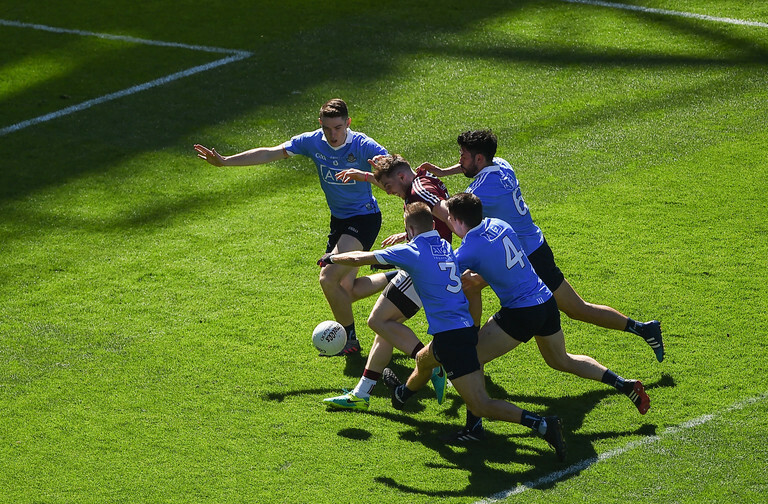 I think the teams had to step up to what Dublin were doing. They are getting closer and closer, but they still have a long way to go. You can see that they are improving and doing what they have to do to improve. The Leinster championship is difficult to win, you have Dublin there... but some day they are going to have to be beaten, and that's the thing. You have to try and get to a Leinster final and beat good teams along the way, and on the day of a final anything can happen. Beating Dublin may seem like a pipe dream, but that is what these teams must aspire to. For Westmeath, developing a winning habit will go a long way. The O'Byrne Cup was the beginning of what they will hope to be a long and fruitful journey. They will be aiming take the next step down that path in Croke Park tomorrow. You can listen to the full interview with Westmeath's Kieran Martin, as well as other Balls GAA clips & podcasts, here.